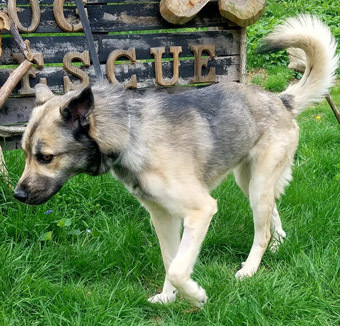 At one and a half, Bucky was another owner-surrendered young dog, whose life was uprooted in a heartbeat because he had outgrown his puppyness. He found himself in the hostile shelter environment and had a very difficult time with the adjustment. 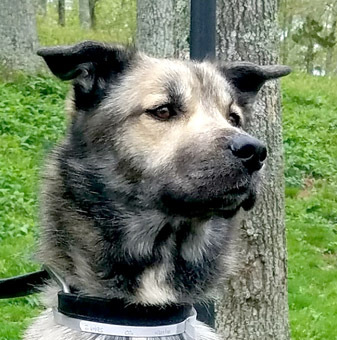 As a powerful German Shepherd mix, Bucky was automatically designated for euthanasia, in deference to the legions of pint size Poodles, Yorkies and Pomeranians deemed more adoptable. Bucky is clearly a glorious German Shepherd, with just a smidge of Husky in the mix. 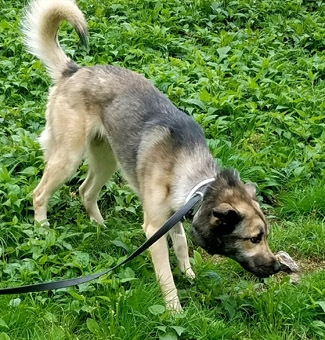 He is a tall, lanky dog at 51 pounds, and he bears the classic German Shepherd black and tan colors, as well as saddleback markings. 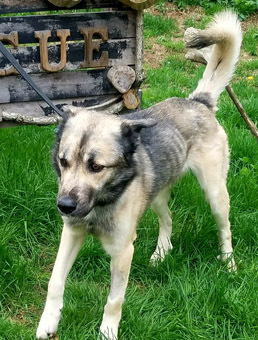 Buck's head seems Husky-like, and his facial markings suggest the Husky "mask." His half mast ears express confusion about whether to stand up or sit down. His short coat is a breeze to groom, although he sheds year round. Bucky has a marvelous, cocky bravado that lets the world know he's up for anything. He bursts into a room with command presence, and exudes confidence, infused with joie de vivre. He appreciates human touch, and is quite affectionate, although he also needs human leadership. If allowed to run amuck, Bucky will become full of himself, and try to run the show. 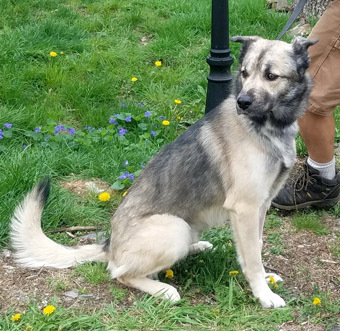 Bucky would be a great companion for an experienced large dog lover, who is comfortable with the exercise and discipline that powerful breeds require to stay balanced. He could easily join the active lifestyle of a single or couple, who can devote an appropriate amount of time to his training and workout regimen. Bucky would make the ideal walking or running buddy. He thrives on lively outdoors activities. Bucky could be happy as an only dog, or he could do well in a dog savvy home, with another well behaved dog. He is not well suited to young kids or cats, and may well overwhelm them with his pushy bravado. Adopters will want to channel that vibe into focussed obedience work, and take Bucky down the road to Canine Good Citizenship. He is an obedience Superstar in the making and has already mastered the basics. The daily training sessions give him a powerful mind and body workout. Bucky is in excellent health, and has been neutered. He has been vaccinated for rabies and DHLPPC (distemper, hepatitis, leptospirosis, parvo, parainfluenza and coronavirus). He has had the 4dx test, and is negative for heartworm, lyme, earlichia and anaplasmosis. He has been microchipped and dewormed. 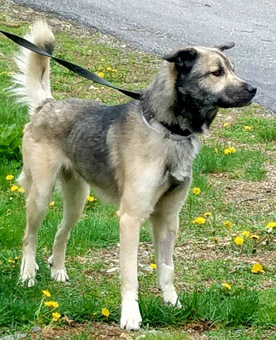 If you are interested in Bucky, please write to Denise@eskiesonline.com or call Denise at 860-908-9738 for more info.